Ed Harrold is an author, inspirational leader, public speaker, coach and educator. Ed’s mastery in the art, science and application of mindful breathing has guided him to apply conscious breathing practices in corporate performance coaching, fitness and athletic training, healthcare training, stress reduction and overall health and well-being. Today, Ed blends the fields of neuroscience and the wisdom of contemplative traditions into effective strategies to improve health and well-being. 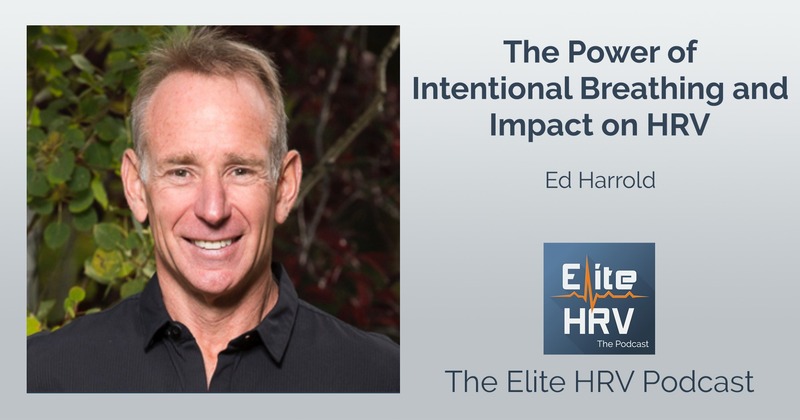 Ed’s fluency in mindfulness-based strategies combined with the belief in the human potential gives him the depth and understanding to meet individual and group needs across industries and platforms. Ed is the Author of “Life With Breath IQ + EQ = NEW YOU”. He is a contributing health and wellness editor for Huffington post, Thrive Global, MindBodyGreen, PTOnTheNet, &amp; Corporate Wellness Magazine. Ed is a provider of continuing education training in both the healthcare and fitness industries. 7:46 What was it about breath that really changed things for you? 12:08 How do you work towards using breath in this way? 20:55 Is there a point in which some of these techniques become more automatic? Can we reap these benefits unconsciously? 24:30 How does this practice integrate with sleep? 30:45 Any recommended breathing patterns for performing different tasks? 40:15 Is this a similar process in regards to mental exertion? 47:54 Turn stress upside down – embrace it!